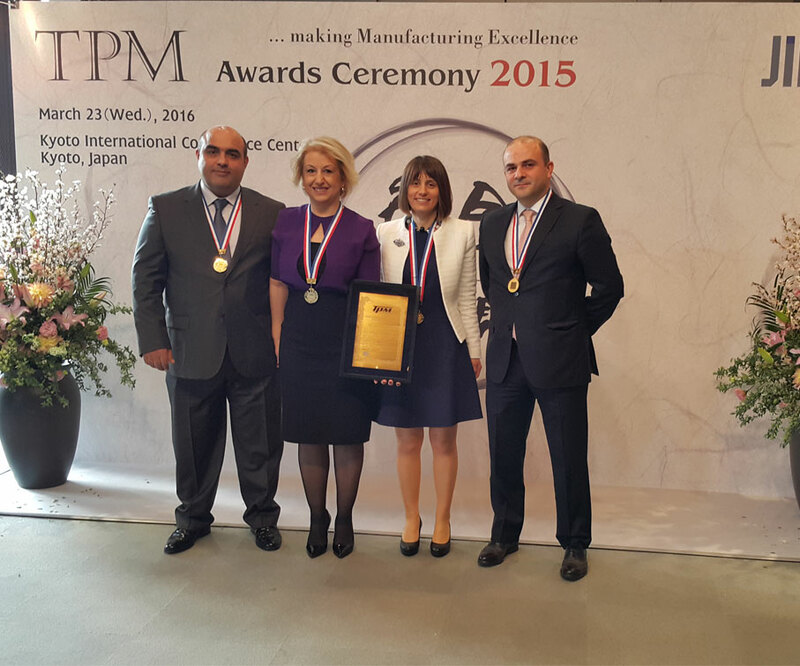 Ispak, operating as an affiliate of Kibar Group, won the Award for Excellence in Consistent TPM Commitment at the second phase of TPM Awards. Aiming to boost the competitive advantage of businesses, Total Productive Maintenance (TPM) is a Japanese management system used to create a productive work space and to eliminate losses. TPM operations include Autonomous Maintenance, 5S, Scheduled Maintenance, Kaizen, Training and Competence Development, New Product and Equipment Projects, Quality, Office, TPM and Occupational Safety. Launching its Total Productive Maintenance (TPM) efforts in 2009, Ispak won the first of the five-step TPM Award in 2009. After a preliminary inspection in June 2015, Ispak successfully completed the final inspection in December and won the second step award.